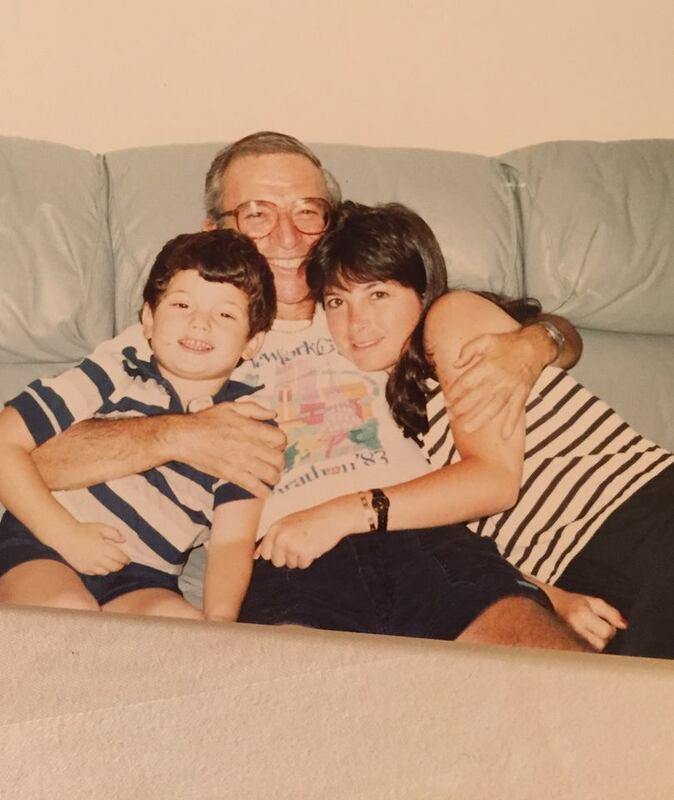 On Wednesday, my Grandpa Jerry passed away. His passing was not a shock, as his diagnosis of terminal cancer had been hanging over his head like a noose for most of the year. He was 87 years old. Despite being somewhat of a fitness superman for most of his adult life, he could not make himself immortal. None of us can. Still, living 87 successful, healthy years is more than most of us are entitled to, and his death is hardly a tragedy. For me, losing Jerry happened 17 years ago. I was 15, learning to live in the new reality of a struggling, single-parent home. After years of abuse from her alcoholic husband, my mom had finally freed herself from his control. And during those dark days, she even managed to save a life, that of her brother’s, whose drug-fueled exploits were quickly tearing the family apart. She invited him to stay with us, a thousand miles away from his dealers, in an attempt to get clean. It was against Jerry’s wishes, and for that my mom, my sisters, and I were excommunicated from the Church of Raticoff. Perhaps he had a point. My uncle was not in any condition to be around young children at the time. Still, he is family, and family should stick together, even (or especially) when the rest of the world has gone to hell. I can’t put myself in Jerry’s shoes, despite my best mental exercises. I would think that one of your children helping another one of your children to come clean would be cause for joy, not rage. For that matter, I can’t think of any rationale for cutting off communication with your children and grandchildren. The last letter I received from Jerry came shortly after these events 17 years ago. He explained that if I wanted to maintain a relationship with him, “The ball was in my court.” Those words are forever burned into my memory. I was 15, having to choose between loyalty to my mom, and loyalty to a grandfather who showed no loyalty of his own. I remember thinking that even if I chose to keep in contact, how long would it last? How long would it be until I broke one of Jerry’s edicts by making my own choice, only to find myself on the outside of my own accord? This is to say at 15, I decided not to play ball. My sisters, 6 and 2 years old at the time, were never given a choice. It took 12 years and the death of my grandma for Jerry to break the silence and make amends. I was happy to have the last 5 years with Jerry, and to get a glimpse of what might have been had we continued a normal relationship. But that pain of abandonment never went away. When he offered me career advice in the midst of The Great Recession, I couldn’t help but be offended. I thought, “Where were you for the last 12 years? Where were you when I graduated high school and graduated college? Why should I listen to you now when you weren’t invested in my formative years?” These are questions I’m left to ponder alone. I will miss Jerry, but I’ll mostly miss what I didn’t (but could have) had with him. I’ll miss all the important life lessons I could have learned in that time, the wisdom of 87 years on Planet Earth. And I’ll regret that the most important lesson he taught me is one that should be obvious to everyone: life is too short to hold grudges and divide your own family over a matter of opinion. I have a lump in my throat reading this. And maybe a few tears in my eyes. I have always appreciated your honesty. Had most others written this, it may have been saccharine and fake, cuz that’s what we do when someone passes and we have unresolved or hurtful pasts with them. We think cuz they’re gone, we need to pretend it all ended well. I appreciate the positive and pain in this post, Zach. Thank you. Thank you so much, Court. Death is always made worse by unresolved issues, but I’d be doing no service to myself, my family, or Jerry by creating or perpetuating myths.